1969 Chevy Camro RS SS F10 Photo Picture Classic Cars for sale & Classifieds - Buy Sell Classic Car & Classic Truck Classifieds. Found this 1969 RS SS Camaro F10 code very rare hardtop pace car 1 of 400 made on a walk in the woods. Hi like love this 69 camaro that you are selling and I been looking for one for a long time.i wanting to buy this car if your not asking a lot for it , because it needs a lot of work and that will cost a lot in parts. So I like to know what your asking price is , I want it so I can restore it and give it to my grandson for his granduation present and I got 8 yrs to finish it, please give me your bottom price I hate to see this car get crash for scrap. Well Thank You Very Much. Are you selling it? What would your price be? Thanks for saving her! 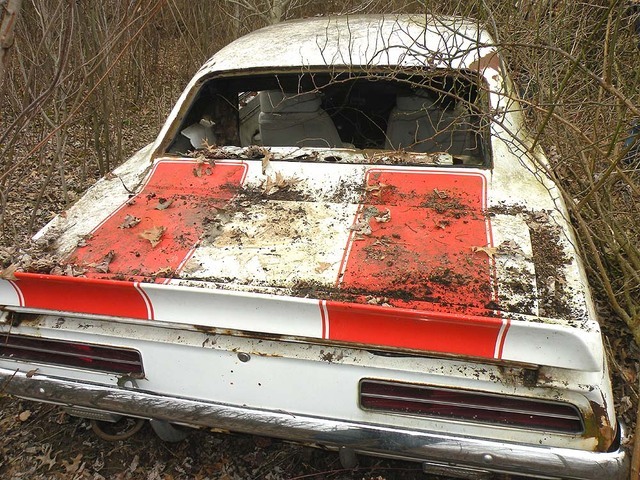 Are you planning a restoration or selling her to someone who would have her restored? Happy Holidays. I saved it from the crusher and have it home. It needs allot of work but only 4-5 hundred were produced. Now who is Bobby?